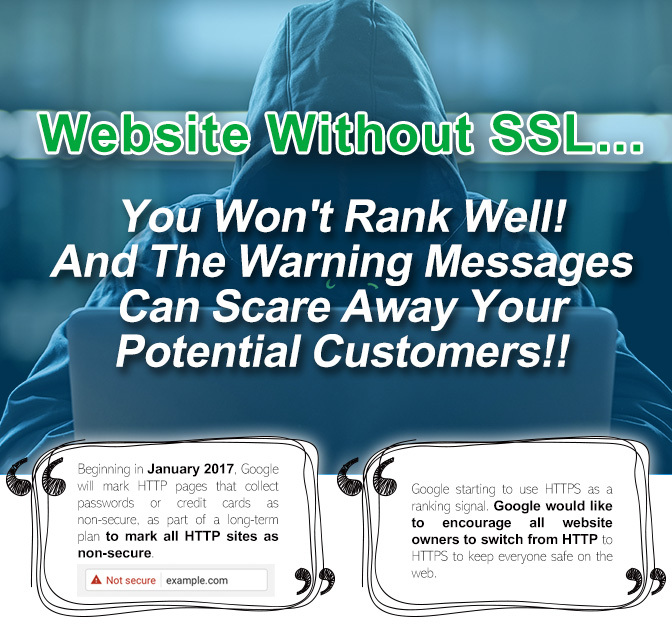 SSL (Secure Socket Layer) is cryptographic protocols designed to provide communication security over the Internet. It can protect your personal information (such as credit numbers, account numbers, and passwords) would not leak out. Most explorers are built with SSL, such as Firefox and IE, which is applicable. When your customers shop on your Online Shop, there will be a message notify them that they will be transferred to a safe server and the address bar will change from "http" to "https" (s means safe). This means they are using SSL; the Online Shop and the explorer are agreed to communicate through SSL. Your customers will feel safe to provide their credit card information and trust it won't be stole. - 12 Months prepayment is required. - It is required to join unique IP address with SSL certificate; it costs HK$100/month. - This promotion offer cannot be used in conjunction with plan discounts, reselling discounts or other special offers.